Voice search. Artificial intelligence. Google algorithm updates. Mobile-first indexing. It's difficult to keep up with the ever-changing world of SEO, but it's a must for marketers. Search engines like Google are becoming way more advanced. For example, search bots are detecting semantic relationships within content and better understanding searcher intent. There are also plenty of changes in searcher behavior. People are simply using Google differently now. For example, they can speak full sentences as they voice search through Siri and Alexa. They can also type more detailed search queries into search engines. Plus, expectations are evolving. Searchers want to click on your website and find what they need in an instant. They expect a clean, user friendly experience. You have to stay in the loop with SEO best practices. Otherwise, you could be making costly errors, which have a huge impact on your ability to generate organic traffic and boost your search visibility. The design of your website can help or hurt your SEO efforts in many ways. One of the most obvious aspects this affects is the user experience (UX). Mobile devices continue to dominate the search scene. In fact, Hitwise's 2016 report found that about 58% of search queries in the U.S. are from mobile. When you visit a website on your mobile device and the content doesn't fit the screen, the experience can be incredibly frustrating. If you’re not optimizing for the mobile, users will leave quickly. 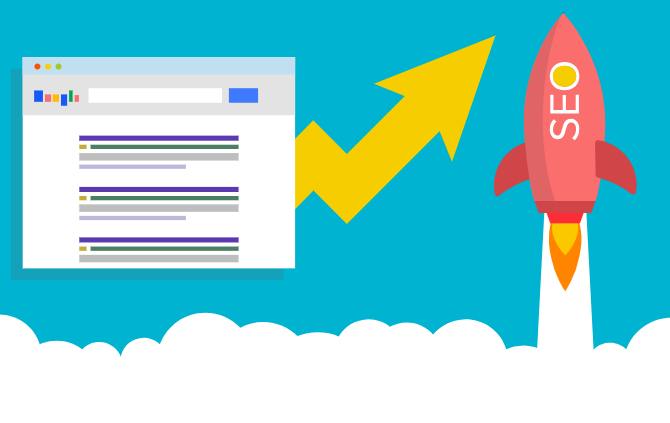 Your bounce rate will soar. But more importantly, thanks to Google's mobile first indexing, your search ranking can take a hit. Basically, mobile first indexing works like this: You have a desktop site but not a mobile friendly site. Your competitor who has both desktop and mobile friendly sites will likely outrank you, even for searchers on desktop. In other words, a mobile friendly website is a must in the current digital landscape. And this trend will likely favor mobile optimization even more. Users who find your site will want to find what they need fast. Therefore, you need a navigation experience that makes sense. If your navigation is not intuitive and you bury certain webpages, you can expect high bounce rates and lower traffic. Visitors don't want to dig through your sitemap to find the information they need. Build navigation so your visitors can locate the content they're searching for in a timely manner. The infinite scroll continues to be a popular feature. It can deliver an excellent experience for your visitors. The more they scroll through a webpage, like your blog, the more content appears. This continually engages visitors and improves your time on page and session duration. But if the infinite scroll is not correctly added, bots won’t be able to crawl your site. This will lead to you losing SEO value and hurting your ranking potential. As you build your content, there are so many on-page SEO elements you can make the most of. If you're not checking off all the boxes, you're not getting the best results from your content. Without internal and external linking, you’re not creating any link juice. This is also known as link authority, which is the measure of the effect a link has on your site's overall ranking. You need to follow white hat tactics and earn high value backlinks from authoritative resources. Otherwise, Google can penalize you for sketchy practices, like buying links or participating in link swaps. And without earning backlinks, your SEO strategy will only get you so far. Your website content should be engaging and informative. Your audience wants quality information that helps them address their specific pain points. They'll wonder why they showed up to your site if you're delivering subpar blog articles. When your content is thin or regurgitated, visitors will know immediately and leave. This diminishes your credibility and can hurt your domain authority, which hurts your ranking potential. Plus, Google can penalize you for thin content that offers little to no value to your website visitors. To avoid penalties and build an awesome reputation, create awesome content that is substantial. Your title tags are displayed on SERPs as the clickable headline for a given result. So obviously, from an SEO standpoint, they're very important. Unfortunately, there are several common mistakes marketers make when it comes to title tags. As SEMRush’s 2017 study found, 61% of websites and webpages analyzed had title tags that were too long. And over half (53%) included duplicate title tags. Meta descriptions are another commonly neglected SEO element. They summarize the webpage and show up in the SERPs, so they're super valuable for earning clicks. So why not make the most of them? The same SEMRush study found that 54% of websites and webpages had duplicate meta descriptions, and 63% are completely missing one. While they don’t directly impact ranking, they do impact your click-through rate (CTR) and how your snippets appear on a SERP. You might as well optimize for your keywords and thoroughly describe what the webpage is about. Search engine spiders are crawling sites and indexing content at incredible rates. If you don't have all your technical SEO ducks in a row, you're going to hurt your ranking potential. We've all been there. We finally find a result on a SERP that appears super helpful. We click it and then ... nothing. The page hangs in a slow loading limbo. This can get frustrating, to say the least. Obviously, this really hurts the user experience and can drive visitors away. Unfortunately, this is all too common. SEMRush's study also found that 23% of websites and webpages have slow load page speeds. Don't lose out on valuable visitors. Not only does this make your bounce rate soar; it also contributes to a bad reputation. Want to be a credible, authoritative resource? Make sure your pages load quickly. This is another oft-overlooked technical SEO element. URLs matter much more than you think. There are plenty of common mistakes companies make with URLs. For example, SEMRush's study found that 20% of webpages include underscores in URLs, and 4% have URLs that are too long. Keep your URLs concise, readable by humans, and informative. Straight from the authority themselves, Google says that the level of security you have on your site and page is a ranking factor. This is why it's so important to use HTTPS. If you’re not providing a secure site, browsers like Chrome and Firefox will show users your site is not secure. This hurts your reputation and can prevent visitors from going to and staying on your site. If you're just blindly creating content and webpages without any plan or goals in mind, you're driving blind. Planning is an essential piece of the marketing puzzle as a whole, and it can help your SEO strategy, too. You can't afford to sleep on strategizing. Conduct keyword research, and build topic clusters into your overall gameplan. Data drives decisions and should always influence how your strategy evolves. You should always be pulling reports from your analytics tools to see how your SEO strategy is benefitting (or hurting) your overall plan. Those who ignore data won't get very far. Look for tools that can help you get where you need to be. There are plenty of options available that allow you to track your rankings for specific keywords you're optimizing for and to keep an eye on your competitors as well. There is no set-it-and-forget-it strategy in any aspect of marketing. SEO strategies are no exception. With the right tools, you can gather plenty of data. This data should indicate where you can improve and what efforts are hurting you. But just knowing is half the battle. You also need to act. Analyze the reports you're pulling, and determine action items to take your SEO strategy to the next level.